It is only fairly recently I came to discover MonkeyPaw Games and their dedication to bringing fun games to the gaming community - often in the form of a retro title like Arc The Lad or Alundra. 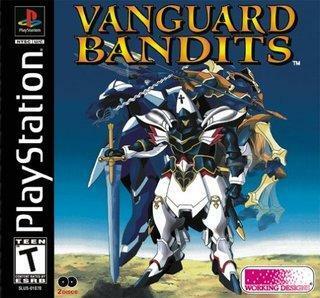 Sometimes they accomplish something more than just helping us revisit an old classic though, because they allow us to play a game like Vanguard Bandits that I would never have otherwise gotten to experience. 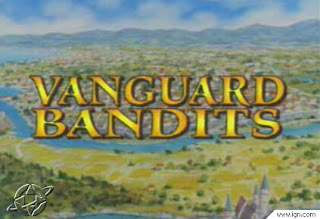 So what is Vanguard Bandits? It is a hybrid RPG/strategy title not unlike Final Fantasy Tactics or Fire Emblem, but with a mech theme. Each mission is carried out on a map made up of squares that your team and enemy units occupy. You have a certain number of squares you can traverse at any given time and you can attack and use special moves on opposing units if you are close enough. Between levels you get to see some cut scenes unfold and there are shops you can upgrade at as well. The RPG elements come largely from the leveling system tied to experience you earn from combat, but also because certain factors throughout the game can take the storyline into divergent directions and lead to several different endings. The reason I am treating this as a PSN review and not a Retro Reflection is I tend to save those Retros for games I have played in the past. 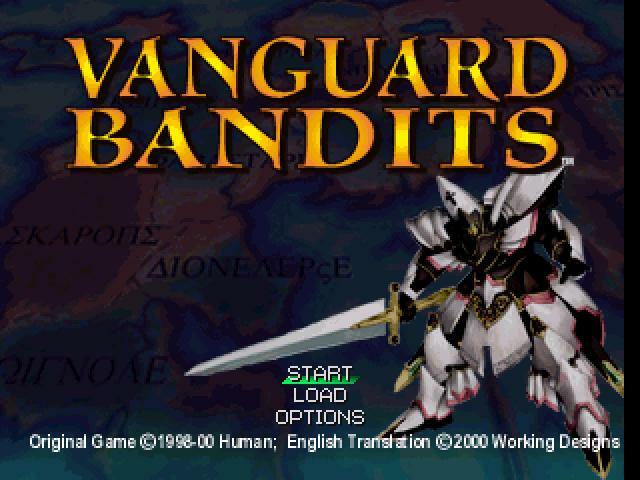 Make no mistake, this is an older game having been released as a PSOne Classic, but I have never played it before so I am trying to share my thoughts on whether or not I consider this game to be worth the price of buying it now - hence a full review. 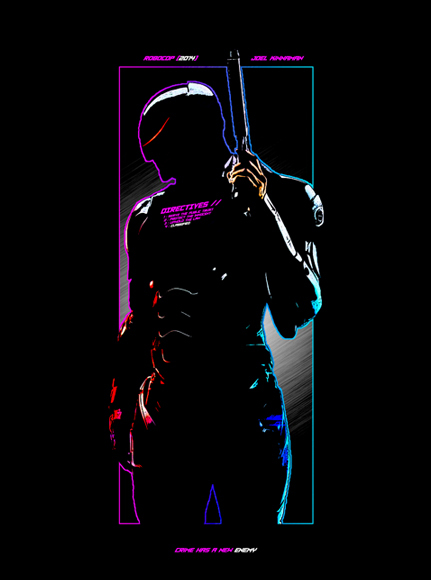 The colors are bright enough to at least make the visuals pleasant enough to view. There is an anime style to the introduction and to the characters in general that I quite enjoyed overall. The mechs have a 3D view that works well - their slightly stiff animations and appearances probably carries off better than if they were people or fantasy monsters. The world itself is not futuristic feeling, so one could question if the use of mechs was really anything more than a hook to sci-fi fans, an attempt to be different than similarly designed fantasy titles out there or just an effort to hide some visual limitations. The actual combat view that is zoomed in on during action sequences holds up far better than the overhead map in my opinion. When weighing the technical merits of an older game like this, I try to put it into context a bit. Coming in as a PSOne Classic, I am not expecting Final Fantasy XIII style visuals here - and these ones were pleasant more often than not as good design choices helped hide some flaws. The sound effects are pretty bland. I suppose the thunking, whirring sounds are appropriate for using mechs in this type of game, but they add very little to the actual game in my opinion. The music is probably a matter of tastes, and I found that there seemed to be a pretty beefy variety in it - but none of it was particularly memorable. It was not really terrible either - very average. So combining average music with sub-par sound design and you wind up with a slightly below average score in this department. Now we are talking. The gameplay is really easy to pick up in my opinion. I was whipping through the first few levels in no time. A few of the menus - especially those between chapters - could have been a bit better. 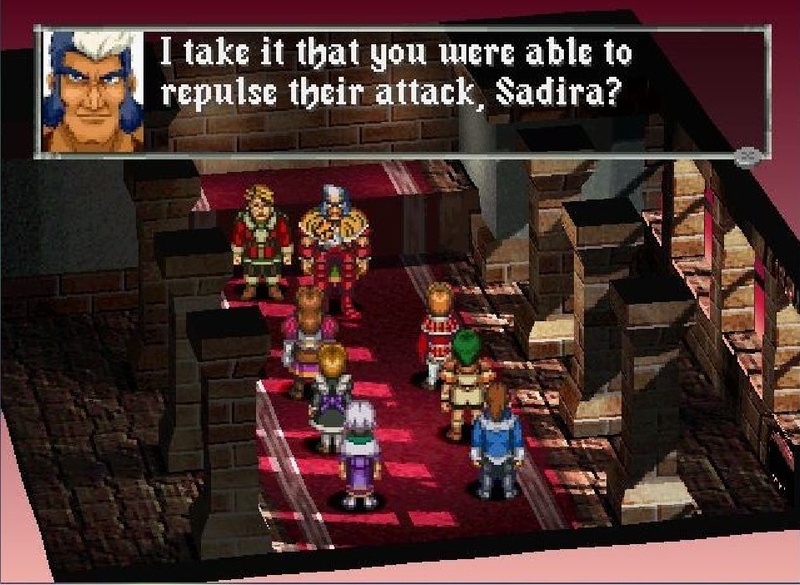 However, the combat has many of the staples you would expect - especially from a title created during the first PlayStation's reign. Turn based attacks, limited use special moves, flanking and back attack bonuses and terrain adjustments are all there. 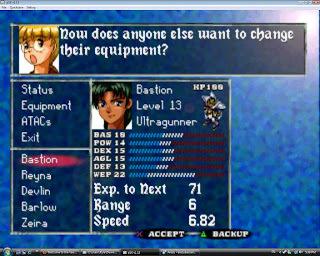 Early on there is not much difference in the characters, but as they progress through the leveling system, you see a lot more diversity in the character skills. The story is well-traveled, somewhat cliched stuff, but it's not tripping over itself in embarrassing fashion either. 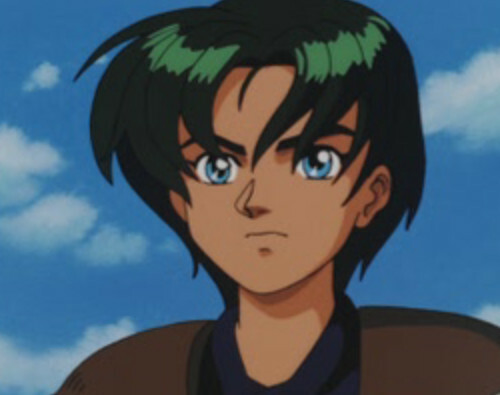 It helps that everything was easy to understand, and I thought the localization effort was top notch. There are a ton of missions to be had, which for me is always a big plus when you are playing a game like this. 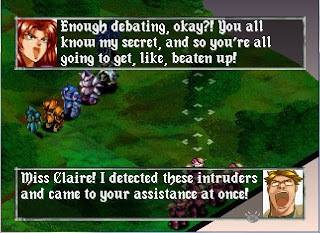 There is no exploration between missions like you might have seen in older Shining Force games - you are simply driven from mission to mission so having a high number helps out a lot. Probably my favorite aspect of the title (outside of the combat and leveling) is the replay value to be had here. 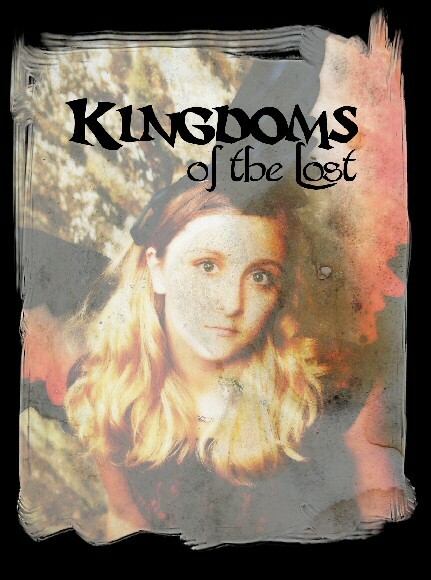 The storyline can diverge into different directions and these branching plots lead to multiple endings. I played classic strategy titles like Shining Force and Warsong so many times - it would have been really nice to experience different stories in both of those titles, but here it is a welcome discovery. For me personally? I have no problem recommending this game. 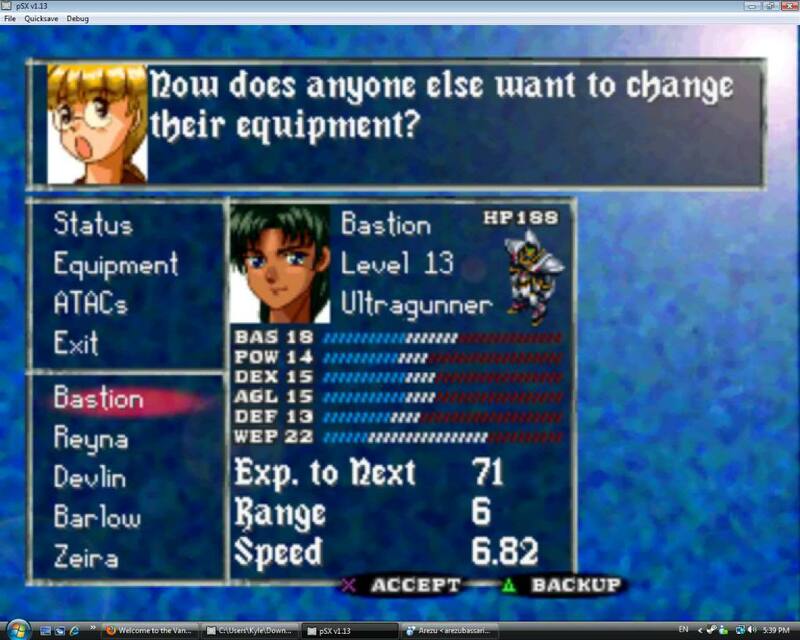 I have been in love with the RPG/strategy game genre for a very long time. I have a tendency to play and replay them. I would guess I beat Warsong and Shining Forces 1 & 2 no less than three times each. I've replayed the newer King's Bounty titles several times as well. While I enjoy leveling up characters and coming up with better ways to win maps and milk the very last bit of experience out of those games - I would have really enjoyed different endings and plots that changed depending on my actions. Now that sort of thing is pretty common, but back then? 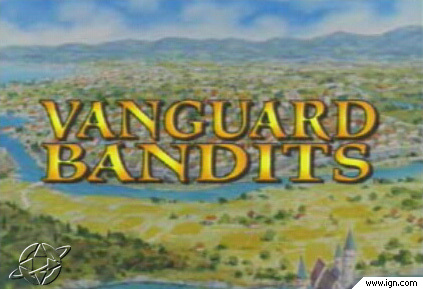 Not so much, and a feature that I think really helps Vanguard bandits stand out for me. Yep, great review. I loved this game, and was very glad to see MonkeyPaw publish it. A terrible looking game, imo, but once you got into it, the strategy was really sound. Great review! Having never played this game before I'm a little surprised to hear about the bland soundtrack, definitely what I expect from an RPG. Gameplay sounds pretty solid though, and it seems = bearable in the graphics department, for a PSOne game. Thanks for the read and comment, Parko!